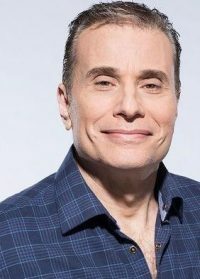 One of the best-known personalities in Canadian broadcasting, TSN’s MICHAEL LANDSBERG is also one of Canada’s most vocal advocates for mental health awareness and has been an ambassador for Bell Let’s Talk since its inception. Relating his own struggle with depression, Michael’s keynote address touches on mental health in the workplace and beyond. He explains why mental illness isn’t a weakness – and how, together, we can beat the stigma, fight back and save lives. A highly sought-after funny motivational speaker, Jody Urquhart is the author of All Work & No Say, a bestselling book that shattered assumptions that work can’t be rewarding and fun. Her motivational talk features, Savvy, Uplifting and Hysterical advice for developing a buoyant, positive and meaningful perspective in the midst of stress and change. A motivational speaker for over 16 years, she is passionate about spreading the message of the importance of fun and meaningful work. Her mission is to help motivate people to derive more meaning, fun, and satisfaction from their work. 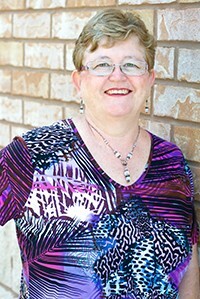 Ann has been an instructor at Conestoga College in the School of Hospitality and Culinary Arts since 2007. As the Coordinator of the Food Service Worker Program she is committed to helping students acquire the knowledge and skills to better serve clientele in Ontario Long term Care and Retirement Home facilities. 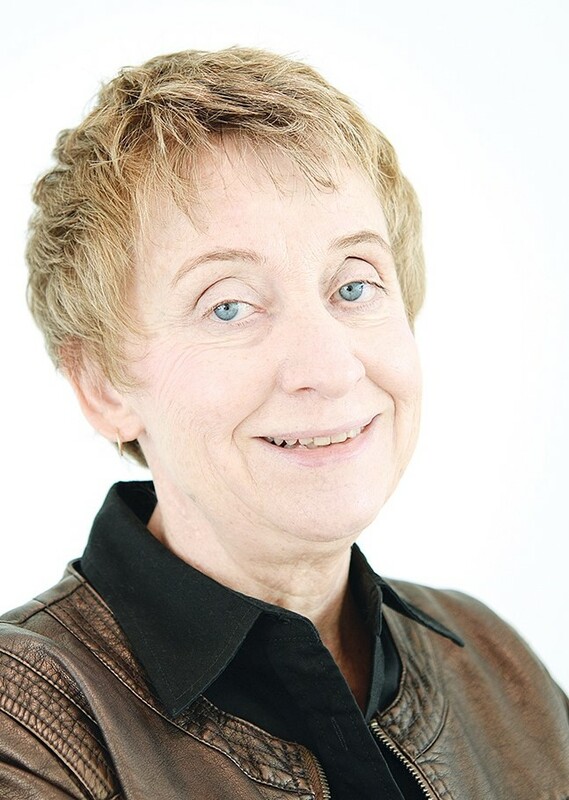 Ann has a Bachelor of Arts degree in Liberal Studies (Option in Aging Studies) from the University of Waterloo. As a manager in the health care field, with over 25 years of experience, she has been involved in all aspects of food, nutrition and environmental services. 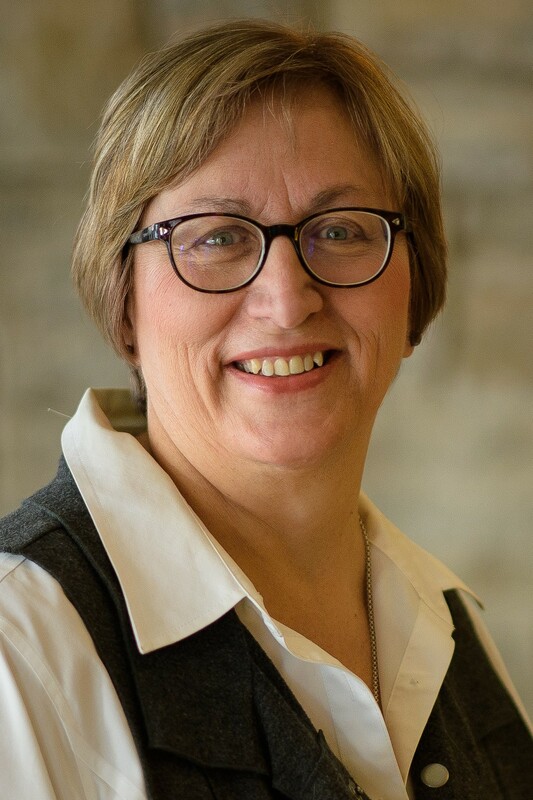 Ann is a member of the Canadian Society of Nutrition Management and she currently serves as the Chair of the Professional Advisory Committee for the Nutrition and Food Service Management Program at Conestoga’s School of Health and Life Sciences. Deborah is a workplace coach and leadership consultant, speaker and trainer with more than 20 years of management and leadership experience. She worked for 11 years as a Vice President with Extendicare, leading their Home Care, Purchasing and Human Resources divisions. Deborah helps Senior’s Care organizations transform their residents’ family members into FANS through her RECIPE ™ Framework and Family Matters Program ™. Her leadership experience in Senior’s Care, coupled with her profound experiences as a resident’s wife and daughter provide valuable insight and practical tools that can be immediately applied in your Senior’s Care home. Aging and the AI Age: How will Artificial Intelligence Impact the Aging Experience and Business? 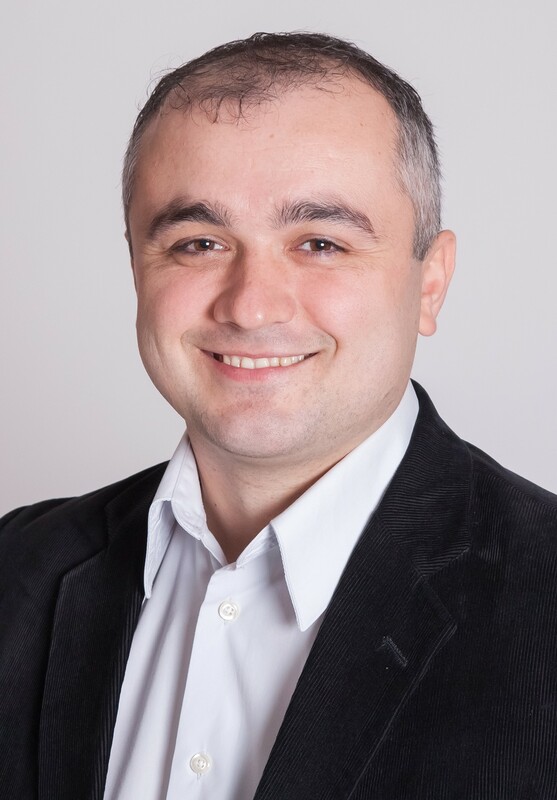 Azi is responsible for the company’s innovation strategy and startup investments focused on improving the aging experience, as well as oversees the Project Management team. 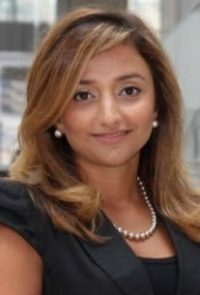 Prior to this role, Azi was the Lead of Strategy and Policy at the Ministry of Health and Long-Term Care, as well as Manager of Personalized Cancer Medicine Strategy at Techna Institute and the Princess Margaret Cancer Centre. Azi holds an MBA and MSc both from the University of Toronto. 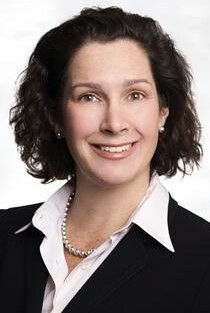 Katharine Byrick is a partner at Borden Ladner Gervais LLP. Katharine practices exclusively in the area of Health Law, dealing with issues affecting both healthcare professionals and institutions on a daily basis. 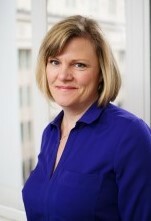 In addition to defending medical malpractice claims, Katharine regularly provides advice to health care institutions on a wide range of issues, including complicated discharge planning, consent and capacity, mental health, managing and responding to adverse events, physician privileges, coroner’s investigations and inquests and privacy. Katharine often works directly with clinical care teams to provide legal support in challenging situations involving all of the above, as well as with individuals in leadership roles. Katharine is a co-author of the OHA’s “A Practical Guide to Mental Health and the Law”. She is recognized in The Best Lawyers in Canada® for her work in Health Care Law, Medical Negligence and Personal Injury Litigation. Katharine is also recognized in the Canadian Legal Lexpert® Directory for her work representing defendants in medical negligence actions. Staff Engagement and Retention: Why Can’t We Get Good Staff to Stay? Barbara is an experienced adult educator with a degree in Gerontology. 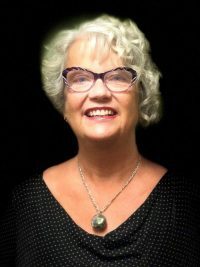 She has worked in Staff Development in long-term care and currently teaches personal support worker students and trains staff in retirement homes. She is the owner of Energize Staff Training, a company dedicated to training and engaging staff on an on-going basis to create an effective, positive team dedicated to its residents. 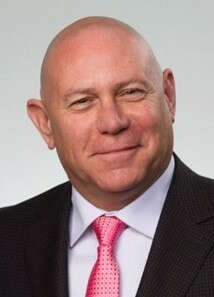 Andrew Carle is a 25+ year healthcare and senior housing executive. He is also an award-winning professor and founding director of the program in Senior Housing Administration at George Mason University in Virginia. The program offers the first and only university curricula dedicated to the senior housing and care field. Andrew has been nationally and internationally recognized for defining a new model of senior housing – “University Based Retirement Communities™” or “UBRCs™”, as well as a new category of technology – “Nana” Technology™ (technology for older adults). As part of his work in technology, he co-developed the GPS SmartSole™ for individuals afflicted with Alzheimer’s at risk of wandering, which was recognized in exhibit of the “Top 100 Inventions in History” by the National Museum of Science and Technology in Stockholm, Sweden. 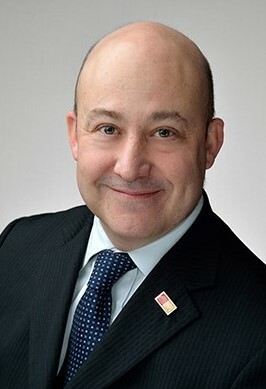 He continues to serve as a consultant to the industry, with clients including AARP, Apple, JD Power, Nintendo, and multiple leading senior housing providers and aging services organizations. For over thirty years, Bill Carr has been making people laugh at what’s trivial while helping them think deeply about what counts. His unique blend of humour and insight inspires laughter and offers his audiences a fresh perspective on what they face every day. An award-winning journalist, actor, and humorist, Carr offers custom-tailored performances and keynote speeches to deliver exactly what organizers need, no matter what the event. 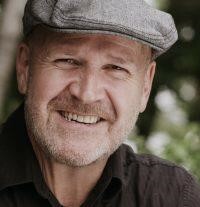 Carr’s career has seen him perform on stages across the country most notably in Nova Scotia at Neptune Theatre, Mermaid Theatre and the Atlantic Theatre Festival. He has written and performed in numerous radio dramas and news programs for CBC and has appeared on countless television programs, several movies and more advertisements than he would care to think about. I joined Extendicare in 2008 as a Dietitian Consultant, supporting long term care homes in Ontario. In January 2017, I started my current position as a Project Manager and Process Improvement Consultant at Corporate Office, recently becoming a member of the IT team. My projects have included managing the mobility contract RFP process, cell phone deployments, the implementation of our new intranet FLOW and assisting with the roll-out of Procura and Clinical Care: ParaMed’s scheduling and mobile clinical documentation software. Before joining Extendicare, I gained experience as a Director of Food Services/Dietitian for a 149-bed long term care home, a Dietitian Consultant for MetCap Living, and a Marketing Leader and Business Development Manager for SYSCO Food Services both in Toronto and Montreal. When I am not at work, I love fussing over my three beautiful daughters and my golden retriever. I love the outdoors, cooking, traveling and getting my huge family together to celebrate special occasions. Mark Chignell has a PhD in Mathematical Psychology and a Masters in Industrial and Systems Engineering. 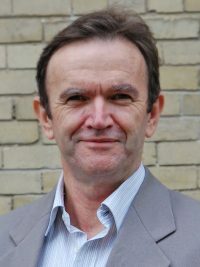 He is a Professor of Mechanical and Industrial Engineering at the University of Toronto, where he has been since 1990 as a member of the Human Factors Group and the Information Engineering Group. He carries out research in human factors and user interface design, with particular interest in aging, adaptive interfaces, and healthcare. 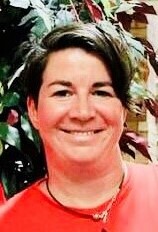 Mary is an RN and has held a variety of positions within Health Services, including a Manager in Healthy Babies Healthy Children in Public Health, Change Management Advisor in Peel’s Strategic Policy, Planning and Initiatives team and most recently in Long Term Care in her current role. Lisa Corrente is a partner with Torkin Manes LLP. She regularly provides assistance to long-term care homes, retirement homes and other health facilities with respect to Ministry compliance matters, professional complaints and discipline proceedings, privacy, residential tenancy matter, and issues concerning residents and their family members. Lisa also conducts neutral workplace investigations into matters such as resident abuse and neglect, discrimination and harassment. Lisa represents her Firm in its membership in the OLTCA and ORCA. David Cutler is CEO of Natural Care, a medical cannabis service for older adults, serving individuals as well as retirement and long-term care homes. Prior to taking the helm at Natural Care, David served as President, CEO and Director at Centric Health Corporation, and as President and CEO of Leisureworld Senior Care Corporation. 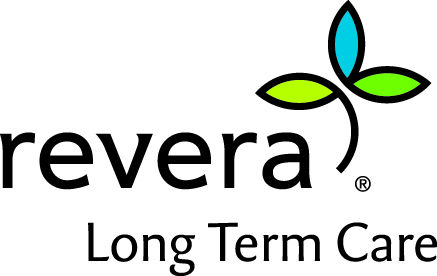 David will bring his nearly 30 years of leadership in long-term care to speak to the operational benefits of cannabis in long-term care and retirement environments. Above all, Carol identifies as a foodie. 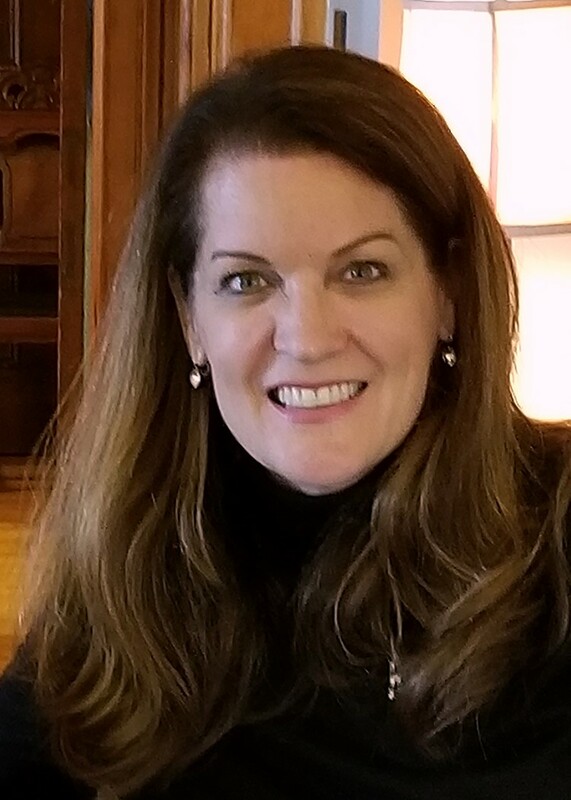 Her hunger for combining excellent dining and hospitality experiences with her clinical nutritional expertise make Carol a unique, dynamic and innovative leader in the industry. As a Registered Dietitian for over 30 years, Carol’s passion for seniors’ nutrition and her food first philosophy have put her at the forefront of her practice. It was her innovation and vision that led her to establish Seasons Care Dietitian Network 21 years ago. Today, Seasons Care is Canada’s Largest Dietitian Company and takes pride in putting Food First. The company continues to grow and excel under Carol’s leadership. Carol is an industry leader who promotes advocacy for seniors and dietitians alike. Carol obtained her BA Sc at and Business Certificate at Ryerson University, and completed her dietetic internship at London Health Sciences. In addition to her role as President of Seasons Care she also serves as the Chair Elect for Dietitians of Canada. 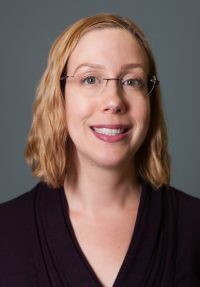 Kate Ducak is a gerontologist and Project Officer at the Schlegel-UW Research Institute for Aging (RIA) where she applies her expertise and experience to the Centre for Learning, Research and Innovation in Long-Term Care (CLRI) program. She enjoys exchanging ideas about person-centred, relational and dementia care, health equity, and culture change. 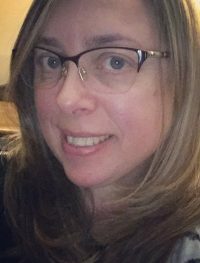 Kate has 15+ years of professional and personal experiences in long-term care homes as an applied researcher, educator, consultant, care partner, and volunteer. As a mother, lawyer, businesswoman, and entrepreneur, Christine Elliott knows how to bring people together. She knows the importance of balancing a family budget and how to manage a successful business. Christine graduated from the University of Western Ontario with a Bachelor of Laws degree. She then built a successful career in business and law, working first as an auditor at one of Canada’s largest banks. Christine later co-founded a law firm with her late husband Jim Flaherty, where she specialized in real estate, corporate law, and estate law. Christine has worked tirelessly to help businesses all across the province expand and thrive. Christine also used her business and legal expertise to pursue her commitment to public service. Her pro bono legal work for charitable organizations gained her the recognition as a Rotary International Paul Harris Fellow, the highest award with Rotary. As well, Christine is a co-founder of the Abilities Centre in Whitby, a facility built with the vision of celebrating all people, regardless of ability. The centre has become a hub of its community, hosting various Parapan Am Games events in 2015. In 2006, Christine was elected MPP. She has won five elections, and for nine years has served the people of Ontario at Queen’s Park, including six years as Deputy Leader of the PC Party. In 2016, Christine became Ontario’s Patient Ombudsman, where she fought for better access to health care for all. She currently serves as the Deputy Premier of Ontario, Minister of Health and Long-Term Care, and is the MPP for Newmarket-Aurora. Christine has triplet sons, John, Galen and Quinn. As the Director of Food & Nutrition at William Osler Health System (formerly Peel Memorial Hospital), Jill worked collaboratively with the team that merged the Region of Peel Hospitals. Currently with Schlegel Villages, Jill has brought technology to the Food & Hospitality Village teams with Synergy on Demand (SOD), Menu Stream, and Table Side Select while fostering person centered care and choice. The past two years, Jill has been an active member of the Professional Advisory Committee for Conestoga College Nutrition & Food Service Management Program @ Conestoga’s School of Health & Life Sciences. Jill is a foodie, passionate about food who loves to cook and eat! Sue Freeman is a Program Manager at the Canadian Centre for Occupational Health and Safety (CCOHS) within the Communications group. She is for responsible delivering workplace mental health facilitated workshops, supporting business development activities, managing projects plus the CCOHS Speakers Bureau Program. With research interests centering on Positive Workplaces, Sue uses her background in experiential psychotherapy, emotional intelligence and positive psychology to help promote workplace issues. Sue is also one of two appointed Mental Health Champions at CCOHS. 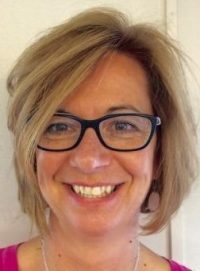 Sue has a Masters of Science-Marketing from the London School of Business and Finance (LSBF) and the University of Wales, Cardiff. Her thesis focused on how social marketing campaigns help promote both community and workplace health and safety. 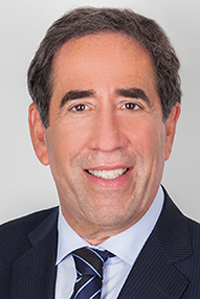 David chairs the firm’s Health Care Institutions Group and co-chairs its Health Law Group. David’s civil litigation practice focuses on commercial litigation, health law and professional liability and regularly appears before all levels of court, boards and tribunals that regulate the health care industry and the professions. 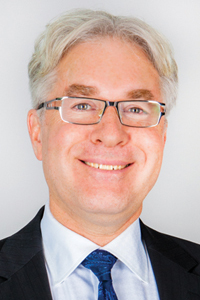 David is counsel to the Ontario Long Term Care Association and the Ontario Retirement Communities Association. As a registered nurse, Elan has had the opportunity to work with teams of dedicated professionals for more than 30 years. Elan has worked at the bedside, as a clinical lead, administrator, system planner and program evaluator. Much of Elan’s experience is with oncology and palliative care. 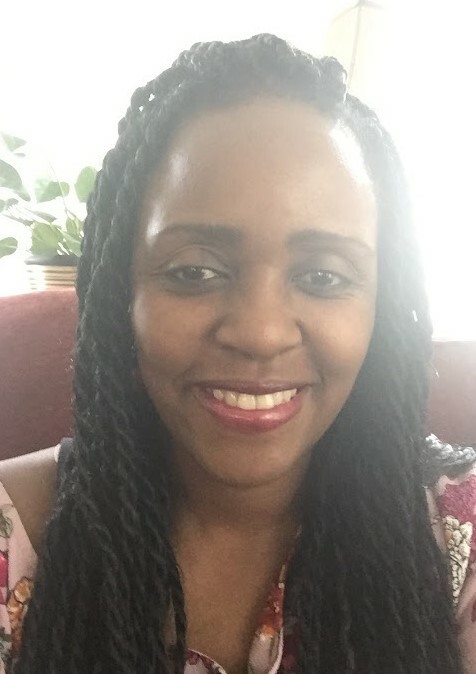 Elan holds a Bachelor of Nursing, Masters of Business Administration, a post graduate certificate in Program Evaluation and is completing her certification to teach English as a Second Language. Elan joined CFHI for the opportunity to work on its palliative care collaboratives and believes that supporting teams as they partner with patients/residents and families is a powerful quality improvement tool that makes a difference in the experience of care. Lynn Haslam is a prescribing Nurse Practitioner with Natural Care, a medical cannabis service for older adults. 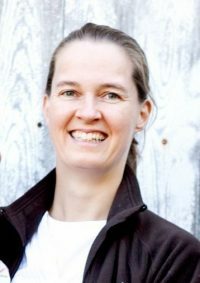 Lynn holds a PhD in Aging and Health (Queens) and a position within Sunnybrook Health Sciences Centre’s Holland Orthopedic and Arthritic Centre, in the Department of Anesthesia. Lynn’s focus is on older adults, with a special interest in patient-centred pain management, care pathways (perianesthetic and orthopedic) and optimized anesthetic approaches. What’s Changing the Game in the Retirement Sector? 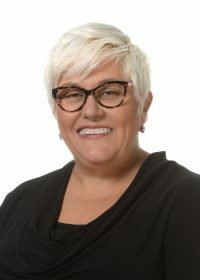 Cathy Hecimovich joined the Ontario Retirement Communities Association as Chief Executive Officer in 2018, bringing more than 20 years of executive leadership experience in home and community care to the role. Cathy is passionate about health system integration and continues to cultivate partnerships across acute, primary and community care in order to ensure seniors have access to the best possible care options. Cathy holds both a Bachelor of Health Sciences in Physiotherapy and a Masters in Education. 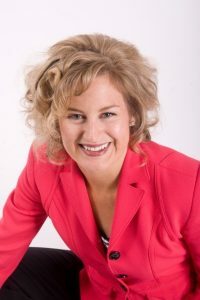 She is also an Assistant Professor at McMaster University with the DeGroote School of Business and the School of Rehabilitation Sciences. 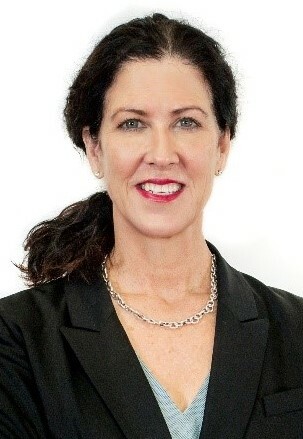 Cathy is a graduate of the Advanced Healthcare Leadership Program through the Rotman School of Management at the University of Toronto, is a Certified Healthcare Executive with the Canadian College of Health Leaders and is a member of the American College of Healthcare Executives. Michelle-Ann Hylton joined the Ministry of Health in 2016 in the capacity of Manager, Aging and Long-Term Care Unit within the Long-Term Care Homes Division. 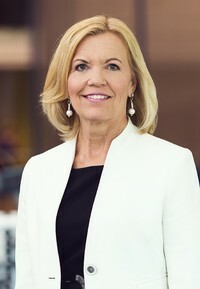 In this role, she provided leadership to the policy team responsible for delivering on significant advancements for the sector including key components of the Strengthening Quality and Accountability for Patients Act, 2017, Aging with Confidence: Ontario’s Action Plan for Seniors and recent regulatory amendments such as the introduction of Reunification Priority Access Beds. Michelle-Ann has also worked to strengthen relationships with sector partners resulting in increased opportunities to co-design and refine policies with stakeholders. Prior to joining government, she led the development of two United Way-led community hubs and managed the operations of two community health centres in the Greater Toronto Area. As Director for the Licensing and Policy Branch, Michelle-Ann has recently acquired the LTC development portfolio and is excited to work collaboratively with the sector to realize government’s commitment to introduce 15,000 new beds. Rebecca is a Registered Dietitian with over 10 years experience in Long Term Care, clinical nutrition counselling and education. 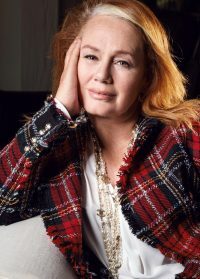 She has lived and worked all over Canada, including BC, Saskatchewan, Yukon, Ontario, Quebec and Newfoundland, as well as the U.K., Ireland and the U.S. In her years of working with clients, LTC residents and students in nutrition and health, she has developed a passion for human rights and how they affect overall health, including mental health, and enjoyment of life. She loves helping people to not only enjoy their food and learn healthy choices, but to also feel good about their bodies, regardless of size, age, race, gender or physical and cognitive ability. 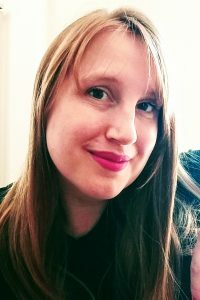 Rebecca currently lives in Waterloo, Ontario with her husband and three young children. 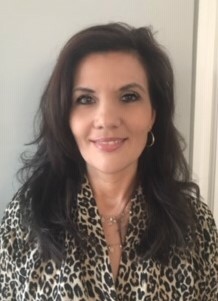 Lennie Iskander is a Registered Dietitian and her current position at the Region of Peel is Supervisor on the LTC Corporate Team, Practice Innovation and Education. Her portfolio includes oversight of Informatics, electronic health records and clinical nutrition in the 5 Region of Peel LTC homes. Mr. Jurutka joined NIC in 2015 as President, taking on day-to-day management and operations of the organization with particular focus on building the infrastructure for NIC to deliver transparency to the capital markets, advance access and choice of seniors housing and care, and foster leadership development. Mr. Jurutka took on the additional responsibilities of CEO in 2017. Prior to joining NIC, Mr. Jurutka served as Senior Vice President, Telecom, at comScore, a digital measurement and analytics company. Before joining comScore, Mr. Jurutka was with Capital One, a financial services company, where he helped launch and manage various strategic partnerships for Capital One’s online deposit product. Prior to Capital One, Mr. Jurutka was a submarine officer in the U.S. Navy. 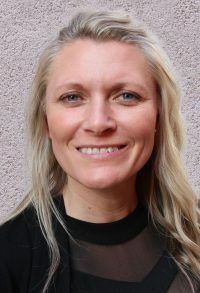 Tina Kalviainen is a certified human resources leader and the Strategic Communications Specialist with Behavioural Supports Ontario (BSO)’s Provincial Coordinating Office. She onboarded with North Bay Regional Health Centre (NBRHC)’s North East BSO team in 2012 and has evolved within the organization from BSO’s initiation to NBRHC being selected as the lead provider for the BSO initiative in 2015. She is keen on quality improvement and takes pride in being part of the system transformation. 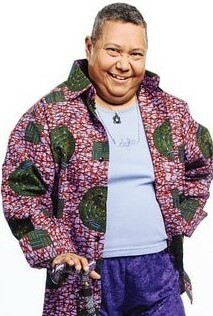 Lezlie is a world majority, brown, indo, trini, carib, callaloo, differently-abled dyke Elder. She advocates for queer, 2 Spirit and trans people of colour. She is the Community Co-chair of Egale’s National Seniors Advisory Council, a volunteer workshop facilitator with The 519, a volunteer at Bridgepoint Active Health Care, a member of the Senior Pride Network, an Elder community facilitator with the Youth/Elders Project of Buddies in Bad Times theater, and sits on: the Patient Care-giver Advisory Table of the ministry of health and ltc, the ministry of seniors affairs liaison committee, the Visiting Homemakers Association LGBTQ Working Group and Client Carer Advisory Committee, the Expert Panel for 2SLGBTQI+ Best Practice Guidelines for the Registered Nurses Association Of Ontario, and the AGEING Without Violence Advisory Committee for the Ontario Association Of Interval and Transition Houses & the ministry of community and social services. She lives her life from an AOP and enjoys a cold beverage and a trini ‘lime’ anytime. Jennifer Killing, Vice President Quality & Innovation at peopleCare Communities. 20 years of operational experience in ontario long term care, with specializes in the use of Technology in Health Care, Quality assurance & Legislative Accountability, Leadership, and Systems Development. Irv is a partner in Torkin Manes’ Employment & Labour Group. His practice has been focused exclusively on management-side labour relations and employment law since his call to the Bar in 1981. He has extensive experience in representing employers in both the public and private sector. Irv has represented employers in the hospitality, manufacturing, transportation, health care (nursing homes, retirement homes, charitable and municipal homes for the aged, and hospitals), education, automotive and retail sectors. 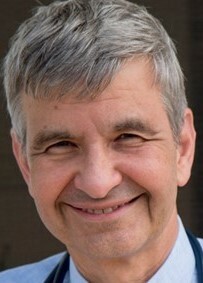 Irv’s practice includes providing counsel and representing employers during union organizing campaigns, in union certification proceedings before the Ontario Labour Relations Board, unfair labour practice complaints, collective bargaining, rights and interest arbitrations, Human Rights complaints, Employment Standards complaints and pay equity matters. Irv is frequently appointed to sit on Boards of Arbitration as the employer-side nominee. He has been involved in the deter mination and resolution of numerous lead collective agreements and labour di sputes both as counsel and as an employer-side nominee on boards of arbitration. Irv has been retained as the lead spokesperson in numerous collective bargai ning processes throughout Ontario. 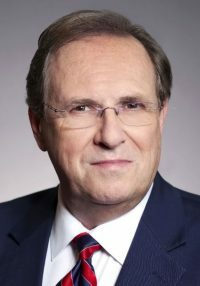 He has been actively involved in strategically advising employers in the course of preparing for collective bargaining and managing the workplace during a labour dispute when there has been a strike or lockout. Irv has repres ented clients before the courts in judicial review proceedings and, with resp ect to injunction proceedings, arbitration boards in both grievance and interest- based disputes, labour relations boards, Human Rights boards of enquiry, boards that have been constituted to determine Employment Standards complaints and Pay Equity complaints. Vanda Koukounakis is a General Manager for the Village of Wentworth Heights in Hamilton, Ontario. The Village of Wentworth Heights is a care continuum supporting 120 long term care residents, as well as nearly 300 retirement residents. Vanda found her passion for working with seniors in 2005 while working for a private retirement home. While working in senior living, Vanda realized how to utilize her influence as a leader to support inclusion and diversity for all of her team members, residents and families. Vanda has been working in various roles in senior living, including Director of Food Services, Assisted Living Coordinator and Executive Director. Vanda lives in Burlington, Ontario, with her wife and three children. Emily Lambe is Project Officer at the Schlegel-UW Research Institute for Aging. 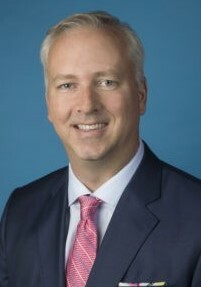 Mr. Lavallée joined Seasons in 2009 as the COO where he launched the Seasons operating platform and brand. Since joining Seasons, Mr. Lavallée has continued to strengthen the Seasons brand and integrate new assets into the platform. Mr. Lavallée has successfully advocated for resident quality of life and care. He is the President of the Ontario Retirement Communities Association (ORCA). ORCA is voluntary non-profit association that advocates for seniors’ issues and influences governmental policy and regulation development. Prior to joining Seasons Retirement Communities, Mr. Lavallée was a Vice President of Operations at Chartwell Seniors Housing REIT. He received his BA from Bishops University. Brian grew up in New Orleans, LA and now resides in Pensacola, FL. He found his niche in the professional world as a Marketing and Public Relations Executive. All that changed in October of 2014 when he was diagnosed with Early-Onset Alzheimer’s Disease. Being that he made a career by using his voice, he now uses that voice as an Alzheimer’s Advocate. Brian now spends his time as an International Alzheimer’s Advocate, keynote speaker and session presenter at international, national and local conferences, seminars and workshops. He knew that most information about Alzheimer’s Disease and other Dementia’s came from the medical/scientific community, and from the perspectives of professional and family caregivers. However, the actual voice of Alzheimer’s is seldom heard. Thus, his presentation “Alzheimer’s: Up Close”, was born. LeBlanc’s presentation provides a window into the journey of a “regular guy” from a “regular life” who is living with a progressive, disabling, degenerative brain disease. Neil MacDonald is the Nutritional Care Manager at Riverview Manor in Peterborough, ON, an OMNI Health Care LTC home. He has had a passion for food and life in the kitchen for more than a decade and loves the beautiful culinary world. Neil earned a diploma in Culinary Management and an advanced diploma in Business Administration at Fleming College, where he received academic awards and a spot on Fleming’s Ontario Skills competition team. Neil has completed the apprenticeship program in Ontario and has earned an internationally recognized Red Seal Certificate of Qualification in the Cook Trade. Neil graduated the Food Service and Nutrition Management program from HealthCareCAN and is an active member in the OSNM and CSNM respectively. Before his experience in LTC, Neil worked in various fine dining establishments in his home town of Peterborough, ON. 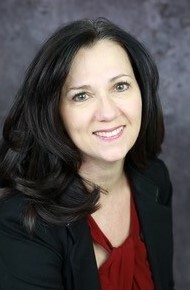 Deanna Matzanke is a bilingual Strategic HR and Diversity Professional and employment lawyer with over 25 years’ experience in minority inclusion and employment systems and practices. She is a certified Global Professional in Human Resources (from the Human Resources Certification Institute) and holds her Human Capital Strategist designation (with the Human Capital Institute). She also specializes in Human Resources Policy and Compliance Frameworks. She is a sought-after speaker and workshop facilitator on all aspects of diversity, inclusion and human resources. Before joining CCDI, she acted as the head of Diversity and Inclusion in the Global HR function at Scotiabank where she was responsible for employment strategies. Her portfolio included integrating the bank’s Global Diversity & Inclusion Strategy for leveraging diversity across the employee, customer and community segments and implementing the bank’s Global Human Resources Policy and Compliance Framework. Sofia has worked at Extendicare from 2015. She enjoys her job because no two days are the same. Her previous experience includes working for an Ontario government Minister as a Senior Communications Advisor/Speechwriter, Mayor of Hamilton in the same role as well as working in hospital and healthcare communications including home healthcare communications. What keeps Sofia going in this very busy position is the passion and love for our residents and clients shown by her colleagues. While we are in challenging times as a sector, this is very inspirational to her. This is why, she feels, we need employee engagement tools that allow us to promote communication with our frontline employees to make them feel they are valued members of our team. In her spare time, Sofia volunteers in seniors and immigrant improvement projects. She also follows international politics very closely as she feels the world is very interconnected in this day and age. Angela Morin has been partnering with health care professionals as a Patient and Family Experience Advisor at Kingston Health Sciences Centre (KHSC- formerly Kingston General Hospital) since November 2011. She is also a member of the Southeast Regional Cancer Centre Patient and Family Advisory Council and Palliative Care Working Group. 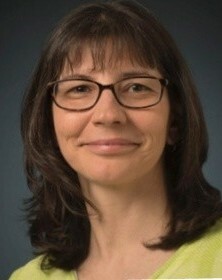 Angela was a Core Faculty Member and Coach for the Canadian Foundation for Healthcare Improvement’s Collaborative “Partnering with Patients and Families for Quality Improvement.” and The Better Together E-Collaborative and Campaign before joining CFHI in the newly created Patient Partner role in 2017. Angela believes partnering with residents and families in health care quality improvement results in a better patient, resident and caregiver experience. Her personal experiences as a patient, family member and while supporting a close friend through her breast cancer journey, continues to motivate her to bring the patient and family voice to healthcare. José Tolovi Neto is the Managing Partner for Great Place to Work® Institute in Canada. Before starting this position in 2009, he was a Partner and the Vice President of their Brazilian affiliate, where he is still a board member. Jose also serves as a member of GPTW’s Global Advisory Board and sits on the board of directors of GPTW France, Spain and Mexico. José has been studying the characteristics of high-trust work cultures for over 10 years and uses this experience to help companies create and sustain great working environments. He has been a guest speaker at several conferences and seminars and is frequently asked to contribute to a variety of business and HR management publications. Prior to joining the Institute, José was a senior business executive in the technology industry, having worked for organizations such as Microsoft and EDS in Brazil, England, Germany and Spain. He holds Bachelor and Graduate degrees in business management from FGV (ranked Latin America’s top business school). José has two young daughters and lives with his family in Toronto. Jay O’Neill was appointed Chief Executive Officer and Registrar of the Retirement Homes Regulatory Authority on June 11, 2018. Jay has been at the RHRA since 2011, most recently in the role of Chief Operating Officer overseeing finance, HR, IT, enterprise risk, and all other corporate functions, and has been instrumental in building and advancing the organization as it fulfills its mandate of informing and protecting seniors. Jay’s career spans many industries including manufacturing, distribution, pipeline and energy services, and a professional services firm where he assumed responsibility for corporate development. The Future of Work is NoW…Are You Ready? 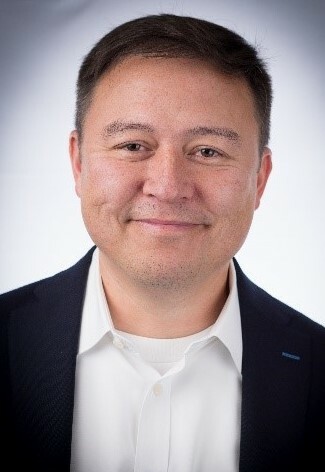 Rocky Ozaki is the co-Founder of NoW of Work Inc. and the NoW-Academy – a consulting firm and school whose primary focus is to future-proof organizations and the people’s careers within them. His professional experiences include 4-years as the Head of HR in Retirement Living. Blake Pearson, M.D. is a member of the College of Physicians and Surgeons of Ontario and a board-certified family physician in the U.S. 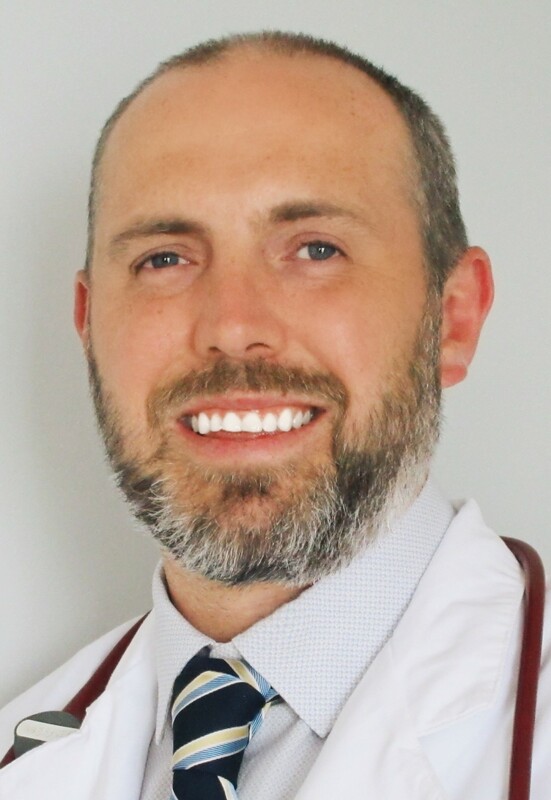 He is a practicing family physician who has focused his practice on cannabinoid medicine and is recognized across Canada as an expert in the field, accepting referrals from across Ontario and educating fellow medical professionals around the world. 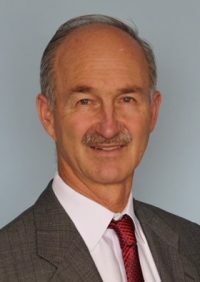 Dr. Pearson is the Founder and Chief Medical Advisor at Greenly Medical Consulting (GreenlyMed.com), which aims to educate practitioners, allied health professionals and organizations on cannabinoid medicine and improve patient access. Dr. Pearson is also the founder and Chief Medical Advisor at Greenly Health, which specializes in providing cannabinoid therapy in long-term care and retirement settings. Prior to joining the Rapids Family Heath Team in Sarnia, Ontario, Dr. Pearson completed his residency in family medicine at Wayne State University – Crittenton Hospital in Rochester, Michigan, where he was Chief Resident. Jo-Anne Palkovits has been the President and CEO of St. Joseph’s Health Centre since 2003. In addition, she has been the CEO of St. Joseph’s Continuing Care Centre (opened in 2009) and the Administrator of St. Joseph’s Villa (opened in 2003) and Villa St. Gabriel Villa (opened in 2011) since their respective openings. Ms. Palkovits was instrumental in transitioning St. Joseph’s Health Centre from its acute care site to its new sites. By working with the Board of Directors a new vision was created to provide non-acute services to the Sudbury community including continuing care, long-term care and rehabilitative care. Three new facilities were built with the hiring of 500 staff now employed at these facilities. 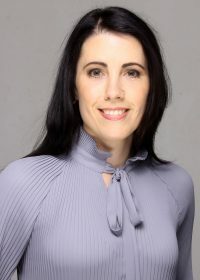 Ms. Palkovits is a Certified Health Care Executive and a graduate of Laurentian University with a Master of Arts in Human Development and a Bachelor of Science of Nursing. 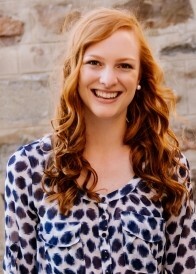 She also holds a Bachelor of Arts, Kinesiology from the University of Western Ontario. 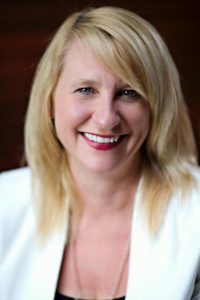 As a respected leader in long term care, Christeen combines a passion for food and nutrition with culinary and business management expertise. 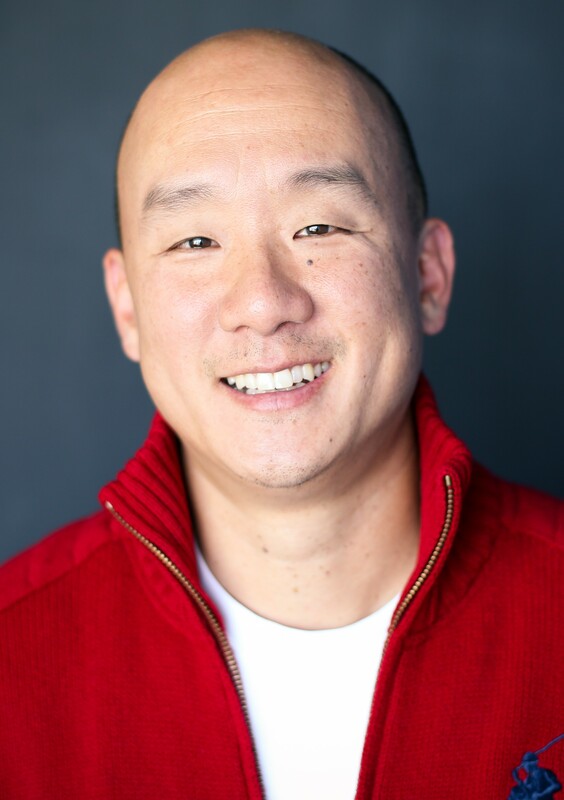 A Red Seal Chef and Nutrition Manager, Chris has held progressively senior positions in long term care and retirement living, and is currently a Menu Analyst with Sienna Senior Living. Chris draws on her own professional growth to continually coach others to achieve their leadership potential. She advocates for seniors, nutrition managers and food service workers in her role on the Board of Directors for both the Canadian and Ontario Societies of Nutrition Management. Her mission is to inspire and motivate health care professionals from all disciplines to leverage their individual skills and resources to create positive change for the people they serve. 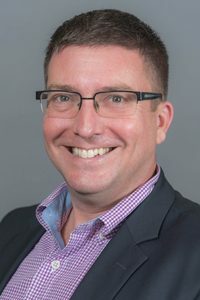 Michael Robertson is the Director of the Programs and Funding Branch at the Long-Term Care Homes Division in the Ministry of Health and Long-Term Care (MOHLTC). Michael has been in the MOHLTC for a number of years, working in the Deputy Minister’s Office, the Transformation Secretariat, and was most recently the Director of the Capacity Planning and Priorities Branch. Michael lead the development of the dementia strategy and has been instrumental in the development of short term transitional care models to help ALC patients transition out of hospital and into home or community care. Michael is passionate about supporting long-term care home patients receiving high quality care and facilitating long-term care patients to receive the right care in the right setting. 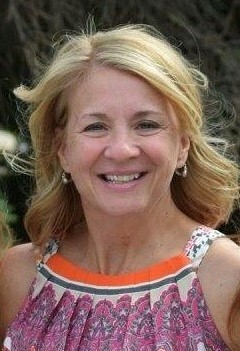 Barb Sutcliffe is Senior Manager of Sales and Marketing at the Schlegel-UW Research Institute for Aging. Established in 2009, SCOPOS Hospitality Group has grown to become the premier hospitality consulting, design, and operational support services firm dedicated to meeting the needs of senior living, healthcare, corporate, and educational institutions worldwide. Andrey brings a wealth of experience leading varied and complex senior living projects, with over 20 years developing, designing, and installing hospitality venues both nationally and internationally. He is known for designing hospitality food service environments that go far beyond the typical institutional food service experience. SHG has disrupted the status quo by bringing innovation, cutting edge technologies, branding, sustainability and design trends to a new level. As SHG continues to grow and garner recognition our goal is to make a positive impact on society by constantly improving the hospitality experience. Dr. Richard Tytus practiced as a GP Anesthetist for five years in Blind River, Ontario prior to practicing in downtown Hamilton – an area designated as Code Red. He is an Associate Clinical Professor in the Department of Family Medicine at McMaster University. Dr. Tytus is Past-President of the Hamilton Academy of Medicine. He is the recent past Ontario Medical Association (OMA) District 4 Director, recent past OMA Honourary Treasurer, Past Chair of OntarioMD, recent Past Chair of the OMA Member Services Board Committee, Chair of the Professional Leadership Development Program and Member of the OMA Insurance Committee. He was also the Co-Chair of the Virtual Care Working Group and was a member of the Ontario Physician eHealth Council. Dr. Tytus has received numerous awards including the 2012 Family Physician of the Year presented by the Ontario College of Family Physicians. He is a strong believer that technology offers health care providers the ability to facilitate patient medical access and improve patient outcomes. Yvonne is a Regional Culinary and Facilities Service Manager for Maple Ridge Retirement Inc that services 6 of the Jarlette Health Services Retirement homes. She is a hospitality professional that has worked in both the restaurant and the Retirement Industry over the past 15 years. She has worked as an Assistant Managers and Sous Chef for various restaurant in Toronto. In 2013 Yvonne found a position in the retirement sector that merged both her love for the Front and Back of House as the Director of Culinary Service for a site in Toronto. Being able to plan various components on the menu and design programs for the front house inspired her to continue on to the strategic development role she holds today. Last year she become the Regional Culinary Manager for Maple Ridge Retirement and 6 months later she was awarded the Facilities Service Portfolio that service the Jarlette Retirement Homes. Yvonne is a Red Seal Chef and a member of the Canadian Society of Nutritional Managers. Which she joined in 2016. Her love and passion for all thing’s food has driven her to never give up on tough problems and develop workable strategies to for the answers that her organization need. Yvonne’s goal is to challenge the status quo and continue to grow the Culinary and now Maintenance teams into the best services provided for our Seniors. Dr. Dwayne Van Eerd is a scientist at the Institute for Work & Health, where he has been a researcher since 1997. He has a background in kinesiology (MSc), and a PhD in work and health from the Faculty of Applied Health Sciences at the University of Waterloo. His research projects include evaluations of participatory ergonomics and training interventions and systematic reviews of the prevention literature. He practices integrated knowledge transfer and exchange. 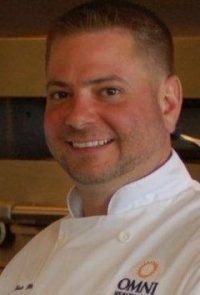 Chris Weber is the Corporate Chef and Operations Manager – Nutrition and Food Services at OMNI Health Care. His background includes over a decade of food service experience as well as other customer service and business administrative roles. Cooking and managing in independent, franchise, and healthcare operations has provided Chris with an in depth understanding of all types of food service operations. Chris holds a 3 year Advanced Business Administration Diploma and a Culinary Management Diploma as well as a Nutrition & Diet Therapy Certificate. Chris is an Advanced food safety trainer and possess a Red Seal Cook certification. 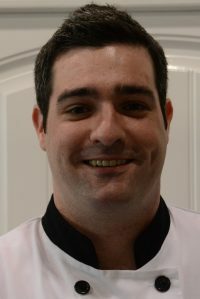 Chris was the Bronze medalist in the 2007 Skills Ontario Culinary Competition and has a strong passion for food and cooking while pursuing a nutritious and active lifestyle. John’s expertise is in the use of strategic and tactical quantitative and qualitative opinion research. His experience derives from national and international assignments in public affairs, public policy, communications, and media relations over 35 years. He’s one of Canada’s best-known pollsters with clients in the private, public, government, not-for-profit, association, and media sectors. 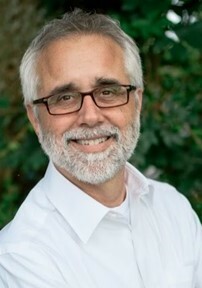 Whether working with clients to understand consumer-citizen insights, construct or better a reputation, define concepts for advocacy, identify ranking messages, calculate segmentation for communications, or create credible media polling releases, he’s widely acknowledged as a ground-breaking leader of his craft. He’s also one of the most prolific public opinion surveyors and commentators in the country. Pioneering the first multi-country polls for CNN International and the Economist in 1992 bookended by his constructed monthly 24 country Thomson Reuters Global Primary Consumer Index in 2015, he’s been the point person for thousands of media-sponsored polls. With three national best-selling books, he also hosted his own weekly radio show and regularly co-anchored for a business news network.